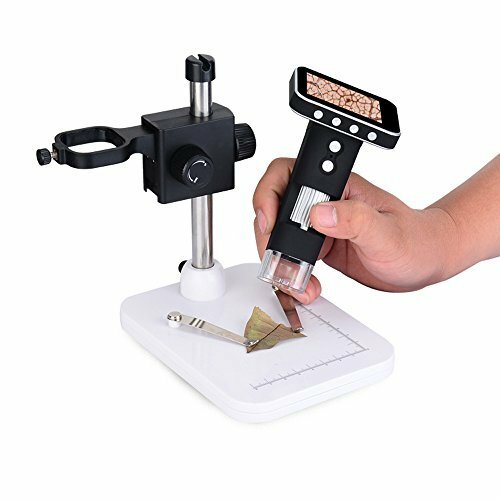 A magnification tool is a staple in the life of a coin collector, be your choice of weapon a pocket magnifying glass, a jeweller’s loupe or a microscope. While having a compound microscope (which can feature magnification levels of up to 1,000x and are generally used to magnify specimens far too small to be discerned by the naked eye) is pretty much overkill, other microscopes can aid your cause. Magnification levels of 3x and 5x are often considered enough to make out a lot of the more intricate details of a coin, but slightly higher levels, up to 10x or 15x, are usually helpful if you’re trying to determine if a coin is counterfeit, to make out even tinier details your pocket magnifier may have missed, and allow you to appropriately clean the coin by magnifying the small nooks and crannies. Stereo microscopes are great for the job, with the purpose of magnifying bigger, more solid specimens than leaf cells, but there are a handful of other types of microscopes fit for the cause too. Take a look at our top picks. Versatile in every respect, this stereo microscope features a broad magnification range of 3.5 to 90x – meaning you have the full adjustability scale to work with depending on whether you’re merely examining the coin for defects or are trying to determine its authenticity. Thanks to the stage clips and wide table stand, the microscope also offers a hands-free alternative that lets you peer through the eyepieces while using both hands to work with delicate tools to clean your collection. The table stand is reversible as well, so it can be used as either a white or a black backdrop depending on the contrast you need to make your specimen stand out clearly. Speaking of eyepieces, the trinocular system of the microscope is one of its biggest assets – the main binocular viewing head features wide eyepieces and adjustable interpupillary distance, a useful feature enhancing user comfort when using the microscope since the distance between the centers of an individual’s pupils differs from person to person. The head is also angled at 45° to eliminate eye and neck strain while use, while the third eyepiece can handily connect to a microscope camera so you can click magnified pictures of the details of your coins and document your collection. The microscope has a zoom objective power range between 0.7 and 4.5x and includes Barlow lenses of 0.5 and 2.0x, making it pretty versatile in adjusting to your needs if you need higher levels of magnification for different projects. Bilateral coarse focus allows you to adjust the distance between the objective lens and the specimen in order to focus, comfortable for both right- and left-handed users. Though the unit doesn’t come with an in-built light source, it works just as well with ambient light – in fact, we think this might even be considered a plus, since you won’t have to worry about needing a power source to use the microscope and can pretty much use it anywhere and at anytime without having to worry about batteries, so long as there is sufficient light. 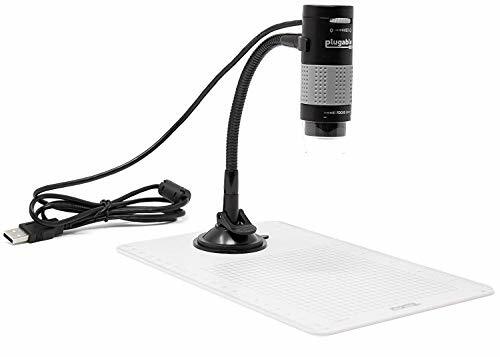 An inexpensive digital option you can hook to your laptop or PC, this microscope offers up to 250x magnification. Compatible with companion software you have to download from the company’s website, the microscope uses capactive capture, snapping clear images at a feathery touch instead of using a push-down button which might have made your set-up shaky. You can also use the companion software to capture images and time-lapse sequences and to record videos. A brilliant gadget for use by hobbyists and collectors as well as for professional applications and in the classroom, this intuitive microscope features in-built LEDs with adjustable brightness, with a diffuser to help reduce glare – especially handy when you’re working with reflective objects like coins. With magnification of up to 500x, this handheld microscope can wirelessly capture images and videos, displaying these on the 3.5 inch LCD display screen attached to the capture component, so you get to view your magnified coins in real time without having to hook up to an external display device. The silver dial affixed to the microscope lets you focus in on your coins, featuring multi-stage zoom to let you one-handedly magnify your coin to study and examine it. The unit is chargeable via USB cable which you can hook to your phone charger, and features 8 in-built LED lights with adjustable brightness. If you need your hands free while using the microscope, for instance if you’re cleaning your coins, the unit comes with a fixed bracket you can use to secure the microscope in place, a platform with a scale and stage clips letting you hold your coins in place. 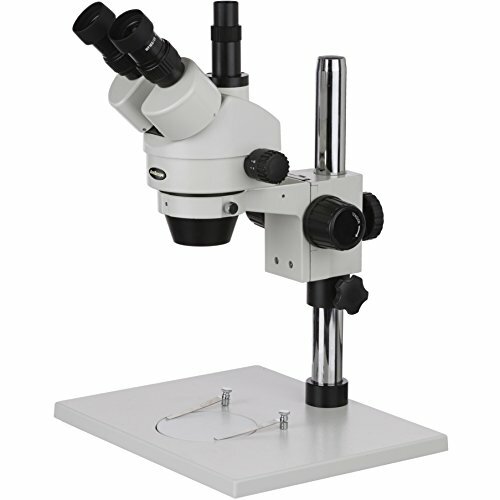 A good dual power stereo microscope for collectors and hobbyists, this unit features magnification levels of 10x and 20x. The 20x objective lens delivers the kind of lower magnification and longer focal length ideal for examining larger specimen than you would be seeing through a compound microscope, like coins, stamps, jewellery and insects. Like our top pick, this unit also comes with interpupillary distance adjustment and a 45° angle for comfortable viewing and use, also featuring a wide and reversible viewing stage – you can switch between the black and white stages depending on the degree of contrast you need for your specimen to stand out clearly. You won’t have to worry about buying and replacing batteries or charging the unit before you can use it – ambient lighting, including lamps and ring lights, can give you the appropriate illumination for the purpose of using this microscope efficiently. 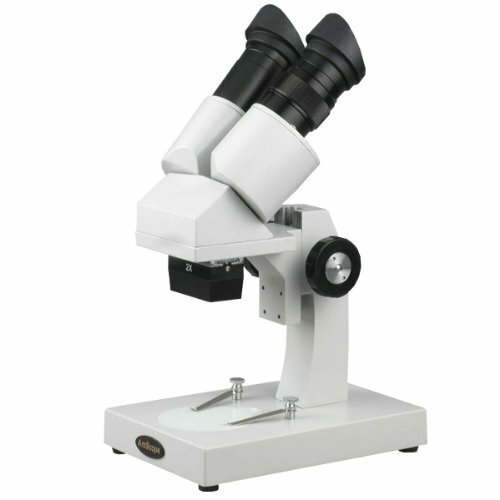 Bilateral coarse focus dials let you adjust the distance between the specimen and the objective lens to focus your microscope, user-friendly to both right- and left-handed individuals.